In addition to his practice as a writer/designer, Warren Lehrer has been an innovative educator at the intersection of visual art and writing for over three decades. 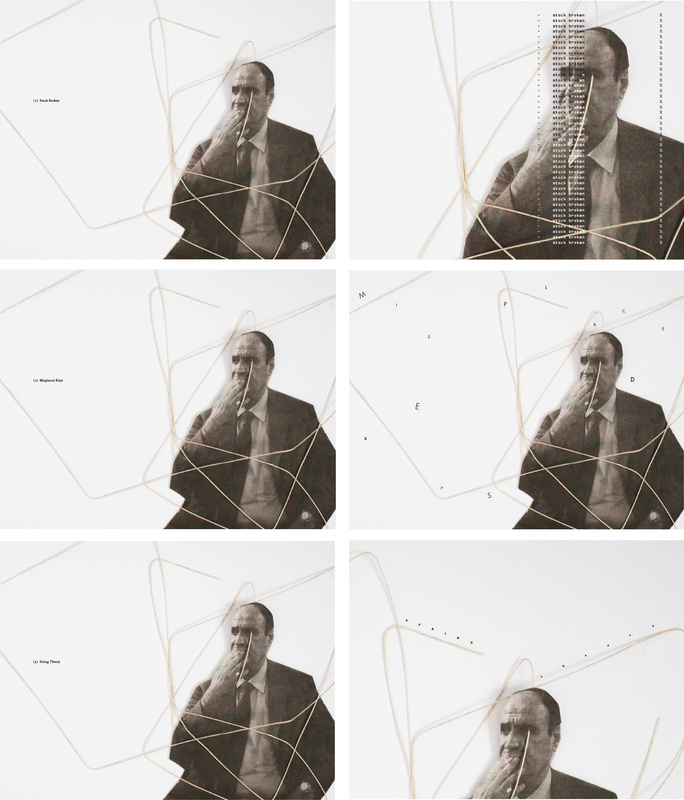 After a short stint as a teaching assistant to Armin Hoffman at the Yale School of Art, where Lehrer earned his MFA, he began his teaching career as an Assistant Professor at the University of Massachusetts, Dartmouth. Since 1982 Lehrer has taught at the School of Art+Design, Purchase College, SUNY (the premiere art school within the NY state university) where he is a Full Professor and currently serves as the head of the design program. Since 1996, he’s been a founding faculty member at the Designer as Author graduate program at the School of Visual Arts (SVA). In 1995/96, he was a visiting professor at The Cooper Union. Through the years, Lehrer has been a visiting artist at scores of universities, art schools and art centers, and is a frequent lecturer and keynote speaker on his own work, on visual literature and art/design/writing pedagogy. His essays on teaching have been widely reproduced. Lehrer’s earliest experiences as a mentor of young people was as a drama counselor, directing children’s theater for two seasons at a summer camp in Western Massachusetts. Though he went on to pursue art and writing, he continues to use theater exercises and techniques as a part of teaching writing and visual art, and performance has always been an integral part of his own work. During his two year stint teaching graphic design and typography at the School of Visual and Performing Arts at UMass, Lehrer initiated the first Art of the Book classes, a course and path of study that continues at UMass Dartmouth to this day. At SUNY Purchase, he developed curriculum and has taught a variety of classes that meld writing with design/visual arts, including a sequence of core Word+Image courses, an elective called Artist/Writer Workshop, as well as Performance Art, The Mall: Acts on Campus, and a theory class titled Design Issues. He is currently working on a proposal for MFA and BFA concentrations in Visual Literature/Experimental Publishing at SUNY Purchase. 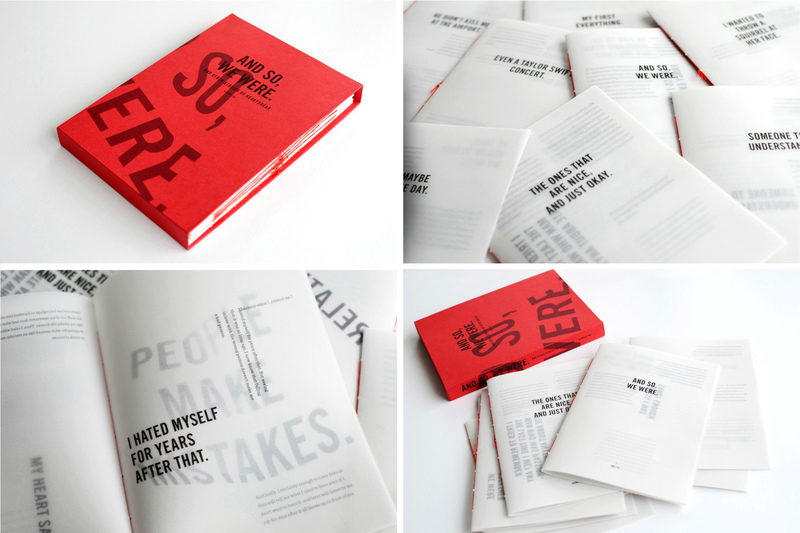 Lehrer consulted with Steven Heller and Lita Talarico on the formation of the Designer as Author grad program at SVA, and since its launch as a program in 1996, he’s been teaching the Writing and Designing the Visual Book class every fall. Lehrer and his wife Judith Sloan also consulted with the Maryland Institute College of Art (MICA) as it was forming its Community Arts MFA program, and they served as model practitioners for that program in its launch year in tandem with installing the Crossing the BLVD exhibition at MICA’s Dekker Gallery. With Sloan, Lehrer has taught writing, book arts and performance at the Haystack Mountain School of Art. He’s also been a teaching resident at Rutgers University, Newark (twice), and at the University of Utah, Ogden; the University of the Arts (Philadelphia); Scripps College (as their Frederick Goudy Lecturer), the University of Florida, Gainesville; and the School of the Art Institute of Chicago. The primary focus of the class is creative writing. The secondary focus is on typography/lettering as the principal vehicles for giving shape to the writing. Lastly, this is an art of the book class. 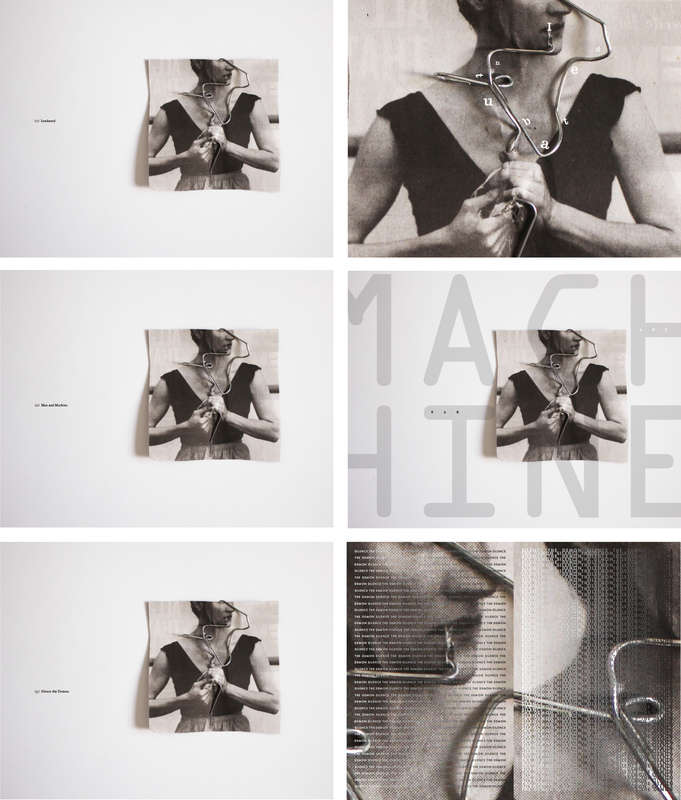 Students are asked to consider the book form as a visual medium and re-imagine its possibilities, uses, and technological manifestations for our time. 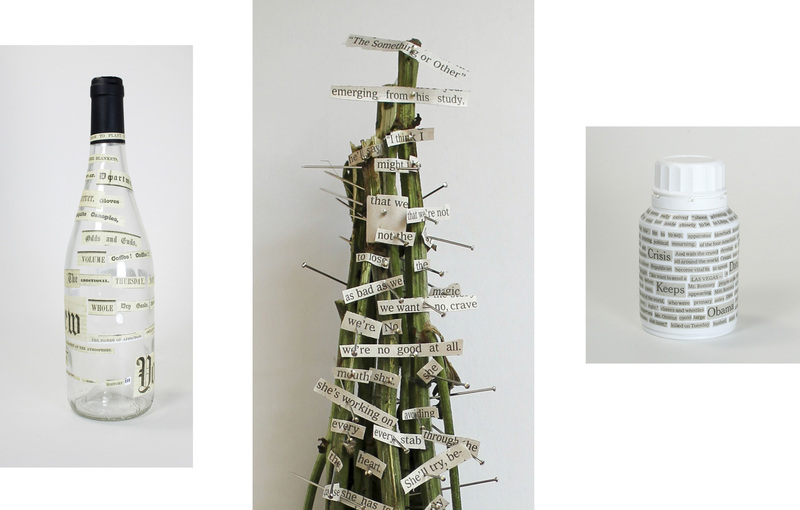 Emphasis is on developing an approach to writing and design as an integrated expression. 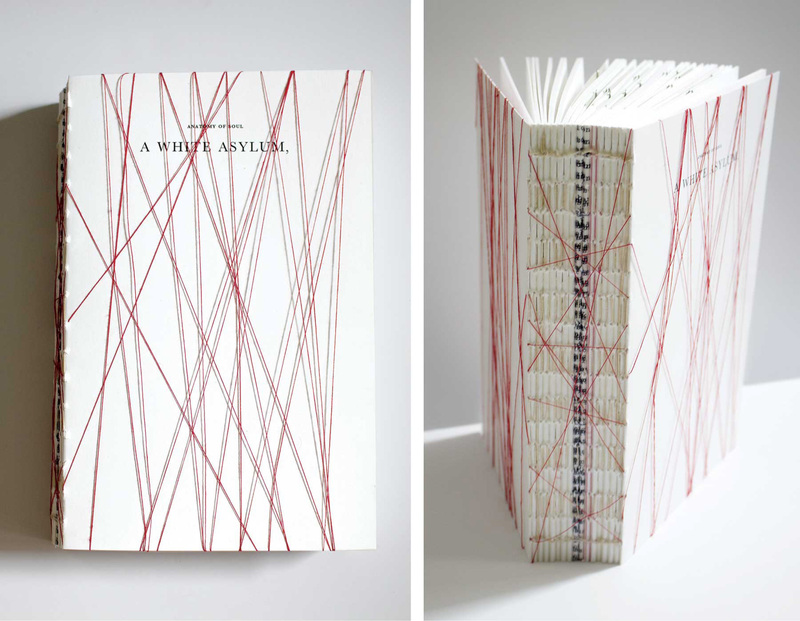 After a series of initial workshops and projects—in titling, word/image relationships, continuous writing, editing, writing from multiple perspectives, developing character and voice, shaping a story, and learning a few bookbinding structures with binding master Barbara Mauriello—students are asked to write, design and produce a book with multiple perspectives. The form and content need to grow out of and reinforce each other. 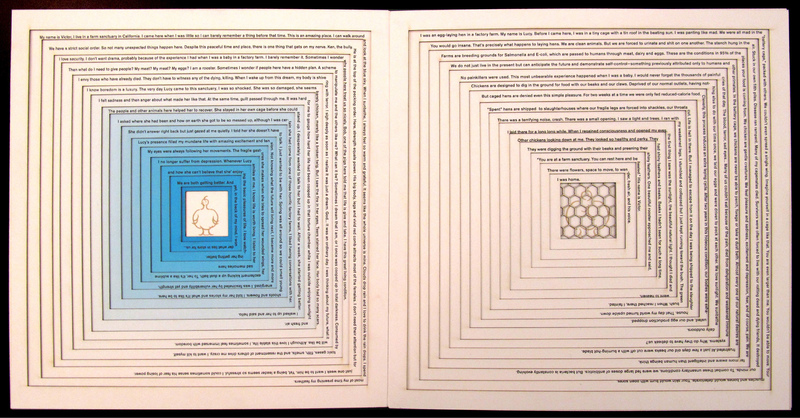 Perforated down the middle, Peter Kienzle’s book A-Part requires you to rip apart one spread at a time as you read. On the left side, you read the woman’s perspective of a couple’s relationship. On the right, the man’s perspective. As you tear through the book, the couple drifts apart. By the end, they split up and you’re left with two separate books. The Separation Wall, written and designed by Samia Kallidis, depicts two opposing perspectives of the “Separation Barrier” that divides the West Bank from Israel. On one side of the wall—we read a subjective narrative of an Israeli man who strongly supports the existence of the wall as necessary for peace and security. On the other side—the very different opinion of a Palestinian man who sees the wall as an isolating blockade creating impoverished ghettos. Samia is Palestinian and grew up in the Middle East. Semifinalist, 2014 Adobe Design Achievement Award. Written and designed by Nada Seet, the book Oh, This May Sound Pathetic To You is about a young woman who is always falling for guys who are far out of her reach, in one sense or another. 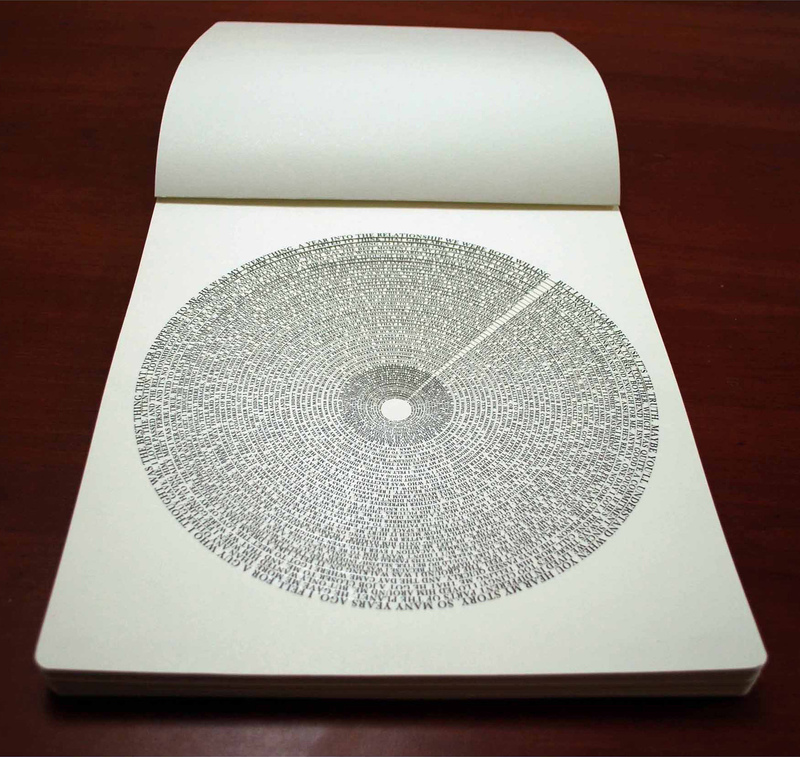 The circular structure helps enable the reader to feel the suffering of Seet’s protagonist as she “repeats the same mistakes and spirals further into loneliness.” This painstakingly handmade bookwork, measures 11 x 13 inches, and was made in two (very) limited editions, one in English, one in Arabic. Winner, 2012 Adobe Design Achievement, Audience Selection Award. Lauren Monchik noticed how people on opposite sides of an issue use the Bible to bolster their argument. For this book, Lauren decided to study and portray the most prevalent biblical passages (and arguments) used on both sides of issues such as gun control, homosexuality/gay marriage, polygamy, slavery, abortion, and environmental protection. The design of the book is inspired by ancient sacred text structures like the Talmud that juxtapose different passages from a holy text annotated by different interpretations. In Caus-ality, an original work of science fiction, written and designed by Len Small, a scientist experiencing a life crisis goes back in time and has a conversation with his kid self. 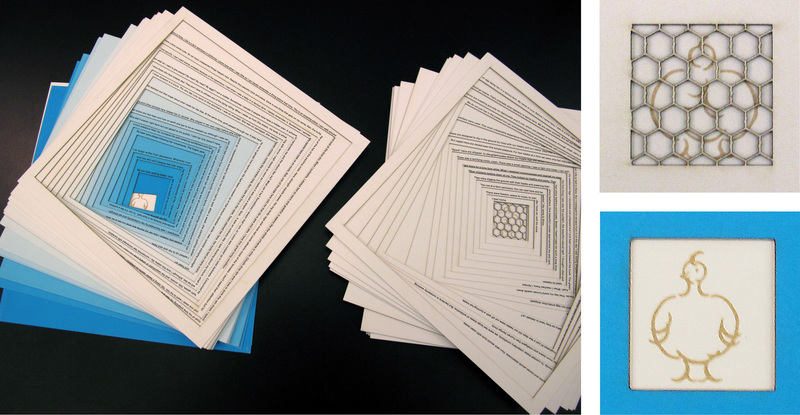 This book is printed on both sides of a poster-sized sheet of newsprint-like paper. 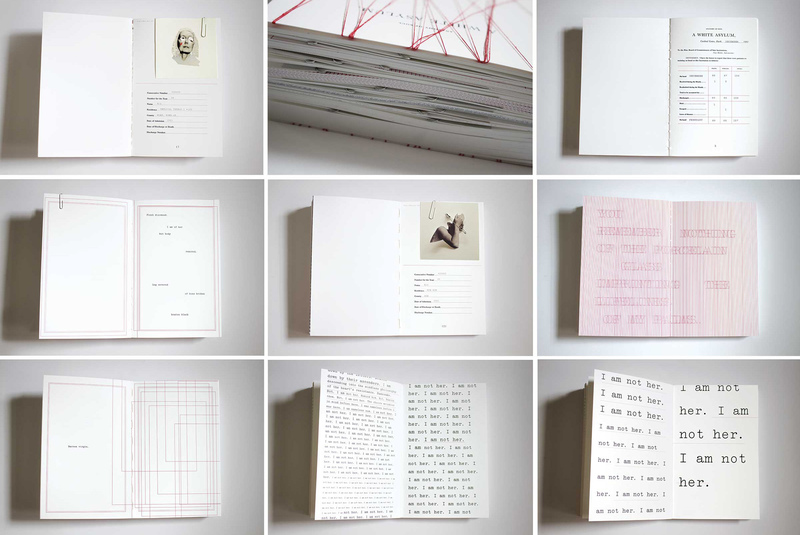 The book starts folded down into a tight wad, then unfolds into a dialogue between older and younger self, contained within 64 panels on each side. Qiushuo Li’s book My Reflection, is also a conversation with oneself. On one side, going clockwise, Qiushuo writes to her younger self, at various ages. On the other side (read counter-clockwise): excerpts from Qiushuo’s journals, kept from an early age. Based on stories culled from oral histories of her own Japanese and Japanese-American family, Donica Ida’s trifurcated book Japanese/American showcases reactions to the bombing of Pearl Harbor (and its aftermath) from three points of view: the Japanese military, the American military, and Japanese-Americans from the 1940s to present day. Each story highlights an individual’s true account. Jee Un An wrote an allegorical tale about two chickens. On the left side of this laser cut book, Victor describes living on a free-roaming “organic” farm. On the right-hand side, Lucy tells her story of growing up in a factory farm, inside a cage crammed with other chickens. Lucy eventually escapes, and meets Victor at the organic farm. Life is good, except they sense danger lurking, even in the sanctuary farm. Above, Jee Un reads to the class from her book. 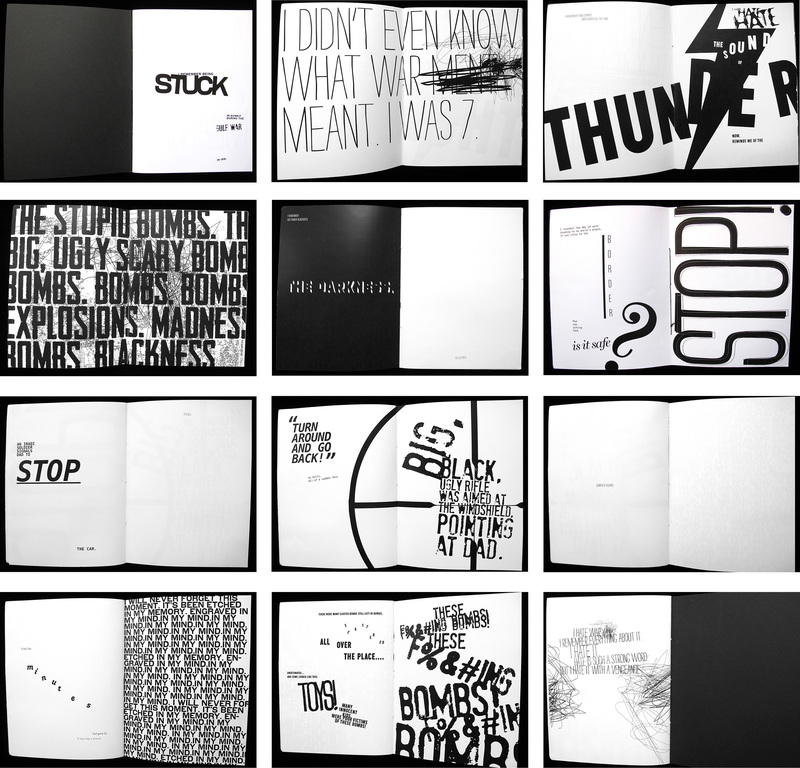 Najeebah Al-Ghadban’s book/installation A Broken Bird uses digital projection of kinetic typography and video onto a physical book. Dual narratives intersect on an open spread, one recalling the death of a pigeon; the other symbolizing the opening of the narrator’s heart. Lizzie Florece’s The Voynich Manuscript Decoded is based on the 15th century illustrated codex, which was written in an unknown language. Lizzie developed her own writing system and constructed charts—inspired by the original manuscript—to tell her version of the story. She used the Augment app to program the translation of the story into English, which can be scanned through mobile devices. 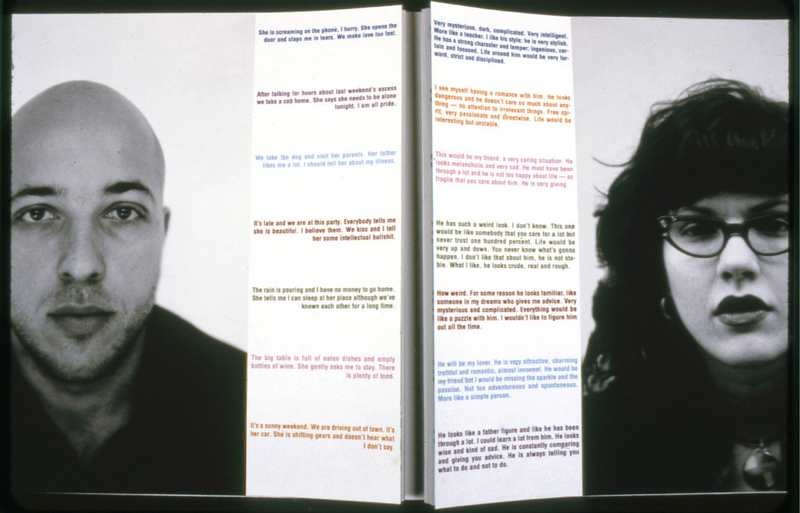 Anaelle Pellison uses a more low tech tool to augment her book, Monsters, a complex portrait of five people convicted of pedophilia. Their secrets are revealed to the reader, with help from a hand-held blue light which comes with her book. Although most people consider her subjects monsters, Pellison’s book is surprisingly empathetic. In Hee Bee’s re-interpretation of Wendelin Van Draanen’s novel Flipped is almost the opposite of Pieter Kienzle’s Apart. An unrequited love story, this book starts out with a gulf between the perspectives of a boy and a girl. As their relationship develops and they get closer, the stepped bifurcation draws closer, and eventually unites. Mahya Soltani Nejadian is from Iran. Her book Taa’rof devises a method for translating Farsi proverbs and expressions which on the surface sound extremely polite, are often poetic, sometimes even flamboyant in their use of language. 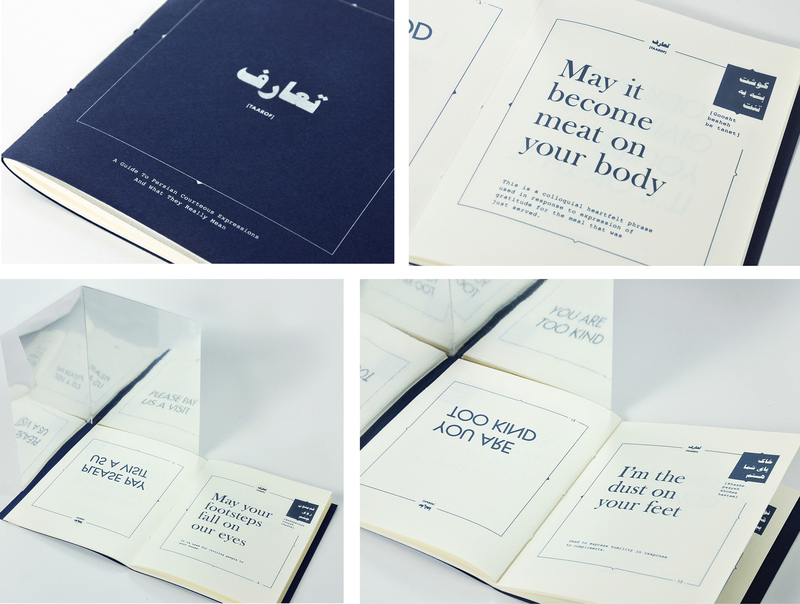 Each spread is dedicated to a common ‘taa’rof.’ On the right side is the literal translation of each phrase, its pronunciation, its setting in Farsi and its usage. On the left—with the help of a bound in mirror—the real meaning of the phrase is revealed. 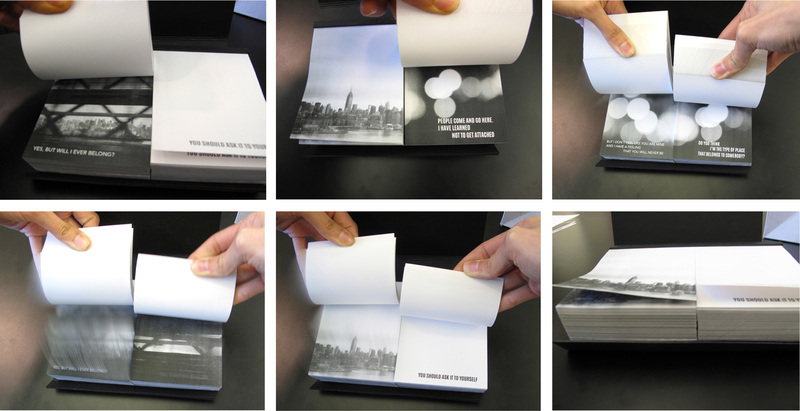 Fiorella Basso composed a double flip book that forms a dialogue between a big city and a newcomer who is uncertain if it’s the right place for her. Unlike most flip books, this parallax work facilitates multiple readings, speeds, and interpretations. Jessica Lin interviews the containers of three very different sandwiches in her Book of Buns. 1. Pork Bun. 2. Fried Noodle Bun. 3. Burger Bun. 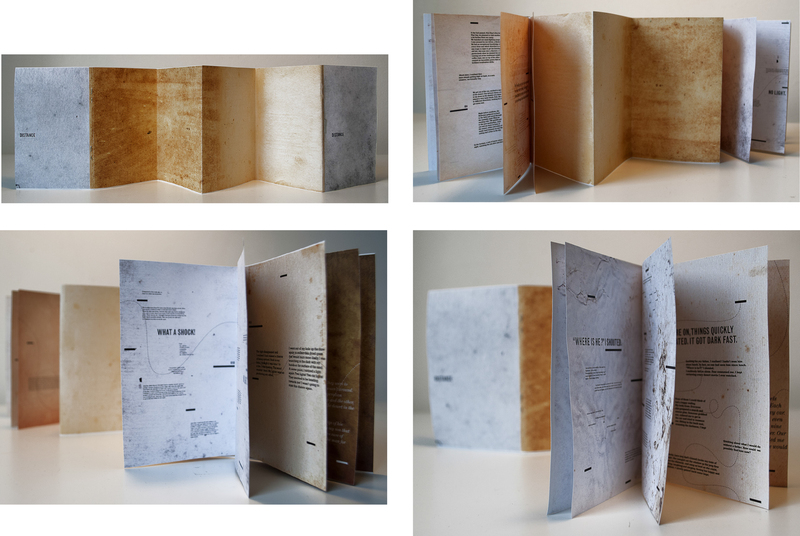 Covers and some selected pages and spreads from Reconstructed Memoirs—A Boy and a Girl’s Perspective of War, a collaborative final book project by Reham Ibrahim & Mohammad Sharaf. 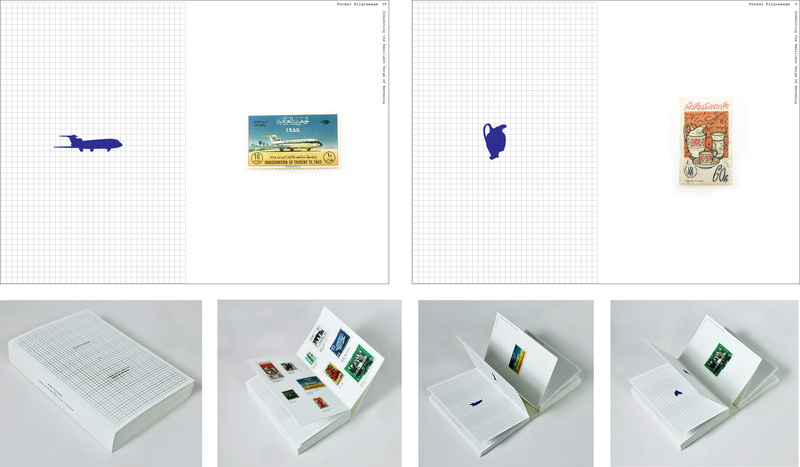 An offshoot of the bifurcated book project, this work—made up of two boxes each containing seven folios—explores the reconstructed memories of the 1990 Gulf War from the point of view of the authors’ own experiences as a seven year old Egyptian girl, born and raised in Kuwait, and a nine year old Kuwaiti boy. They use writing, typography, image, shadow and light to evoke the ordinariness—as well as the terror, playfulness, confusion, loss and affection—of growing up in the midst of a war. Celine Bouchard’s die-cut book Through Walls is a take off of Marcel Ayme’s short story The Man Who Walked Through Walls. Celine’s book pushes Aymes’ premise to more abstract, metaphorical dimensions. 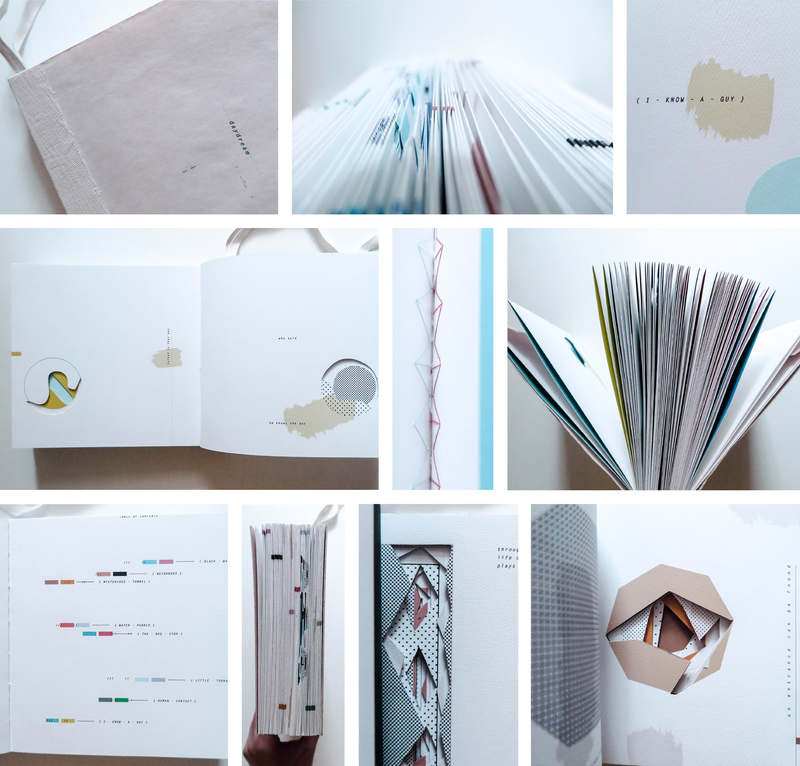 Jessica Lin’s die-cut book Seven Daydreams chronicles a variety of daydreams as (spatial) holes we go in, through, and out of on a daily basis. In his essay “Starting from Zero, Teaching Writing to Designers” published in The Education of the Graphic Designer (Allworth Press), Lehrer describes beginning the Writing and Designing the Visual Book class with an alchemy project that explodes and remakes pre-existing works. Dada poem videos above by Liz Florece and Liz Xiong. After exploding language and syntax and finding unexpected poetry and structure by engaging with chance, students begin to build meaning with a just a few words at a time in combination with images. In the Word/Image Equations: What’s in a Title project, each student makes, curates five images or objects. 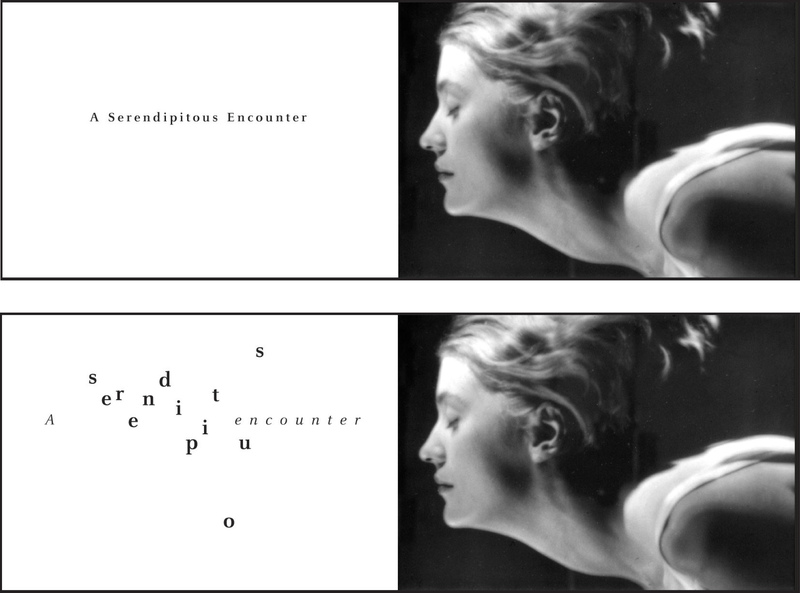 Then they write three very different titles for each image and then for the set of five—each title transforming how the image and set of images is perceived. 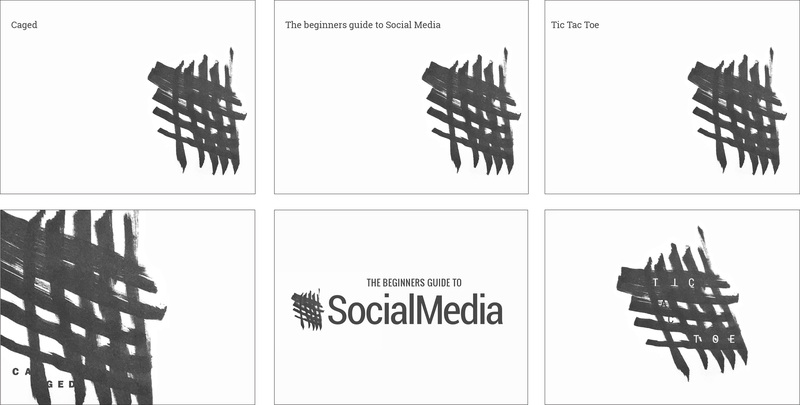 The point of view, perspective, placement and cropping of images can change or remain constant. Students compose these Word/Image equations, first using a “neutral” approach to the typography (whatever that might mean to them), then using an expressive (or more visual) approach. 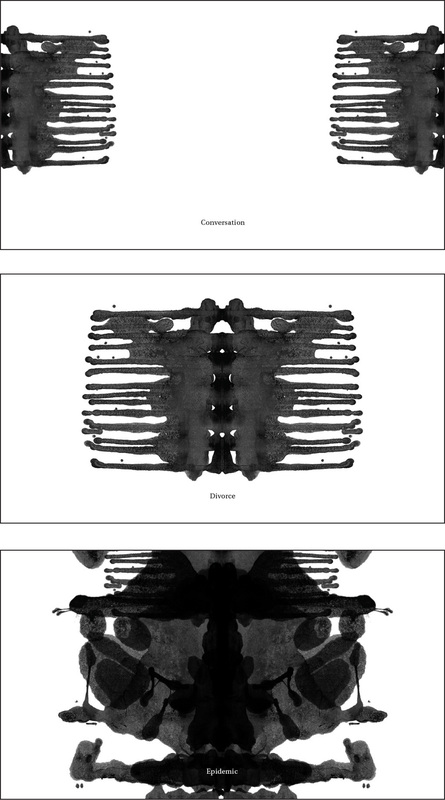 Instead of having images illustrate the words, or vice versa, the goal is to create word+image relationships that work synergistically, and (perhaps) leave room for the reader/viewer to discover meaning(s) within their combination. Below, a few examples of word/image equations. Example of a word image equation (title and image) set “straight” and with “expressive typography. Issa Mao. 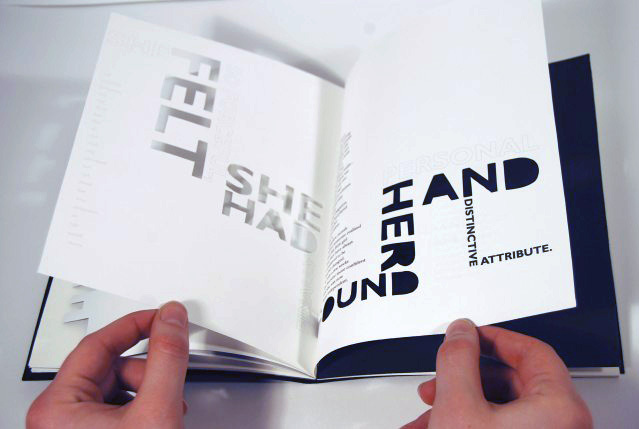 Example of a 5 image/object set titled 3 times, with “neutral” typography. Len Khodorkovsky. Abstract images with titles set with neutral type. Comparison of neutral expressive setting of title. Mohammad Sharaf. 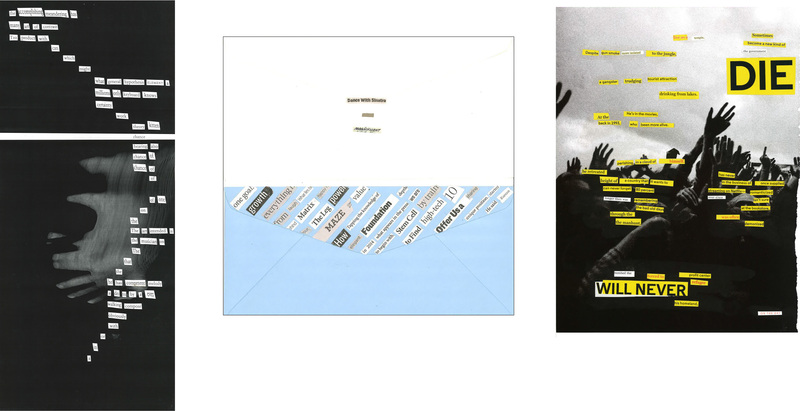 Two pair of collaged images and titles set neutral (left) and expressive (right). Najeebah Al-Ghadban. From Mira Kandpur’s What’s in a Title project. Neutral, top. Expressive, below. Jee Eun An drew some of her SVA faculty out of wire and titled the portraits with words she remembered that artist/teacher professed and/or things she associated with them. 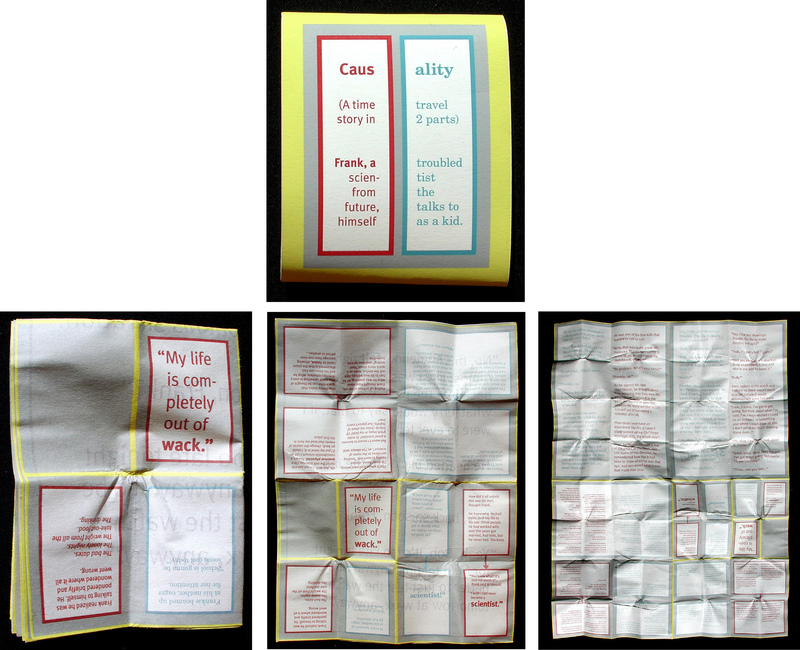 Earlier versions of this project asked students to play out their word/image equations in the form of a book or box. Left: Bruno Zalum. Right: Melissa Gorman. 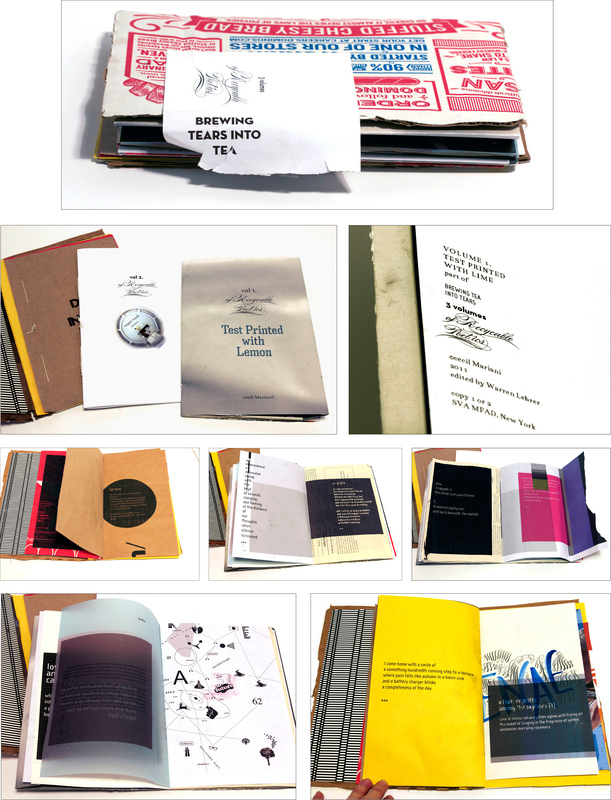 Below, a few examples of the 16 page books students compose in the same one week project. Thesis Project. Several MFA thesis projects have grown from seeds planted during the Writing and Designing the Visual Book class. Here is an example of one such project where Lehrer served as principal advisor. 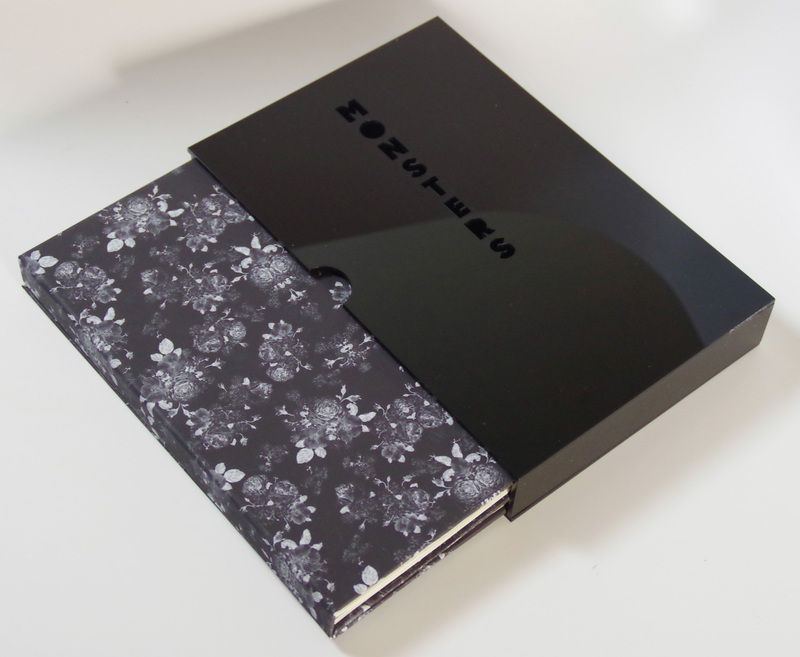 Najeebah Al-Ghadban’s’ thesis project, Four Fold, presents a digital publishing platform for artists’ books written and designed for the iPad, which launched with a trio of digital books by Najeebah that portray three fictional characters, Yara, Inez, and Ezra. 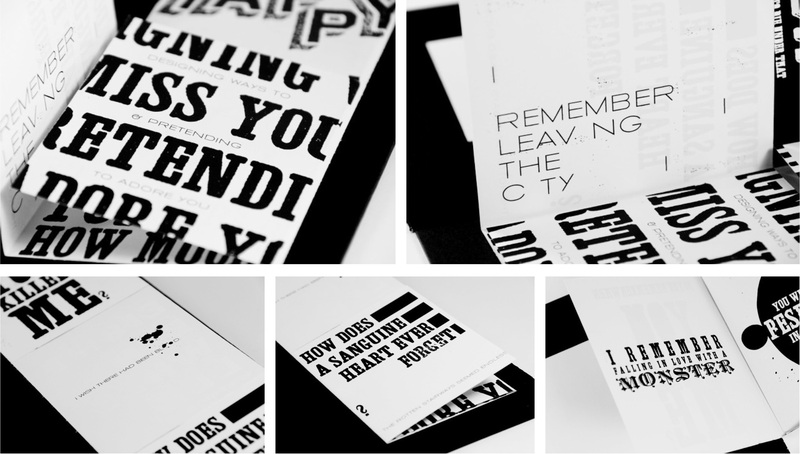 Four Fold was an Adobe Design Achievement Award Finalist. Samples of projects and student work from SUNY Purchase — coming soon.